Tell me if this sounds familiar: your to-do lists are longer than a CVS receipt, you can’t remember the last time you got a full night’s sleep, and you haven’t had a relaxed meal in months. You’re exhausted and feeling resentful. If this sounds like your life, you’re not alone. Too many family caregivers feel like this. It’s not your fault that you can’t get everything done – you need help. Taking care of an older adult just isn’t something one person can do alone (and stay healthy and happy). Sometimes it’s tough to find the help you need. But often, there are people who sincerely offer to help or local services you could use…but you turn them down out of habit. Trying to get help with caregiving feels uncomfortable and maybe even makes you feel guilty. Allowing others to help, asking for help, or hiring help is something many caregivers resist. There’s a natural tendency to feel like you can get everything done on your own and that you’re the only one who can get it done right. Often, caregivers don’t accept help because of underlying feelings of guilt, fear, and unworthiness. You feel guilty for even wanting help and for not wanting to do everything yourself. You worry that things won’t turn out right, your older adult will get hurt, or people will blame you for not doing it yourself. You don’t feel that you deserve support or help. As the spouse / adult child / relative, you’re supposed to do it all yourself. It’s scary to trust others with important tasks, count on them, and to believe that things will be okay even if you’re not there to manage every aspect of the situation. First, it’s helpful to notice and admit to yourself that you’re having some of these feelings. Next, slowly work through these feelings rather than let them keep you overworked and completely stressed out. 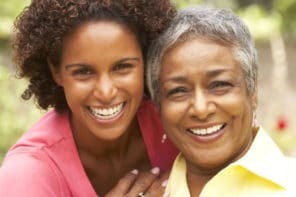 Ease guilt and fears by reminding yourself that having negative feelings about caregiving is normal, life is unpredictable, and that constantly being afraid or worried about what might happen isn’t going to prevent bad things from happening. Overcome feelings of unworthiness by talking about it with a trusted friend. Get their opinion on how you’re feeling. We bet they’ll convince you that you definitely need and deserve the help! Increase trust and reduce worry by having someone work together with you on caregiving tasks for a week before you leave them alone with your older adult. Did you know that getting help will actually make you a better caregiver? That might sound crazy, but it’s true. If you get help, you’ll reduce stress, cut down your to-do list, and be able to regularly take time for yourself. This is guaranteed to improve your health and mood. When you’re feeling better, you’ll be more patient and caring with your older adult. If my husband didn’t understand it would be easier, but he does and thinks everywhere I go he should go. He can’t help himself on the stool so he worries that he will be caught without help. So I can never go without him. He has been disabled for 25 years but as he ages it gets more difficult. He is 88 yrs old. I’m sorry to hear that! It’s a tough situation and one that we hear about often. Do your best to be firm and tell him that for a short time, once or twice a week, you must have some alone time and that you’ll make sure that he’ll be well cared for. Let him know that you love him and enjoy spending time together, but you need some alone time to recharge your batteries too. As long as someone else is there to help him, he’ll be safe. He won’t be happy about it the first few times, but he will adjust. It’s important for you to be able to take a little time for yourself even if he doesn’t agree. It will help you continue caring for him without burning out. After all, it’s already been a very long journey for you. If your health declines, you may get to the point where you won’t be able to care for him at all. So the best thing to do is be proactive and do what you can to keep yourself healthy so you can keep going. Regular breaks are an essential part of taking care of yourself. Looking after the elders is a big responsibility but if you can’t handle it, it’s not wrong at all to look for assistance. 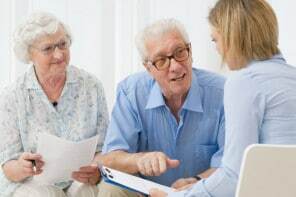 This just means that you want the best for your elderly loved ones and since you can’t accomplish that yourself, you will have to call for backup. Having help that is of high quality can bring utmost safety and protection to the seniors. We agree 100%! It’s not for lack of trying that family caregivers need to bring in help. It’s often because the level of care needed becomes physically impossible for just one person to safely manage.